Sewage from boats harms the environment, particularly in busy or poorly flushed anchorages, and sensitive areas such as shellfish beds. 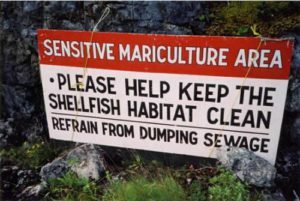 In Canada, it is illegal to dump sewage from boats within three nautical miles of shore (unless pump-outs are not available, and you cannot get three miles off shore). Use pump-out services where available – otherwise, ensure that you are in open waters, or as far off shore as possible in the fastest flowing ebbing waters, before emptying your holding tank. Be sure to also dispose of your and your pet’s waste responsibly. There are lots of great tips on dealing with boater sewage and grey water issues in our Guide to Green Boating. 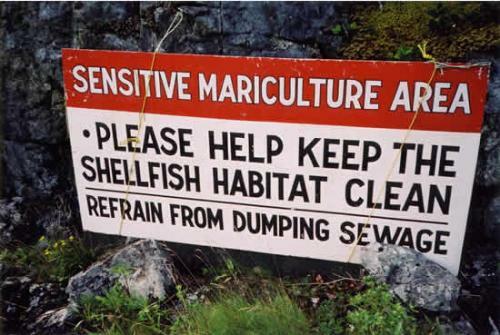 Regulation of recreational boater sewage is already weak in allowing limited dumping in our oceans. A recent proposal to further weaken these regulations was cancelled. Not only did our January 2015 vessel pollution submission oppose the watering down of the regulations, but asked for them to be further strengthened, and for the appropriate pump-out infrastructure to be put in place. * Note: waste from composting toilets must be disposed of in accordance with vessel sewage regulations.